In reading the results (so far) from yesterday's survey, there was an overwhelming number of you who wanted to read more about my life. So, today I shall give the masses what they desire...insight into my life. Can I be honest? Throughout my time in Wilmington I've pretty much been broke. No lie...I took a huge pay cut to move here and the cost of living has been considerably higher than in Charlotte. Which is weird...because Charlotte is 4x the size of Wilmington. My new job pays well. I'm excited to be able to build up my savings account again and to have a bit more of a financial cushion. I'm excited to be able to pay off my debt (credit card and my car) and be completely debt-free. I'm excited to be able to shop again. However, I know that I had to go through this season (almost a whole year!) of being broke to be able to really appreciate a season of bounty. I had to go through this time of living paycheck to paycheck to realize the importance of having a financial cushion. Y'all probably didn't notice. Hopefully?? And can we just talk about how often I rock these (hand me down) jeans? The point is, I tried to not let the fact that I was (and still am at the present moment) broke affect my ability to be stylish. People, it CAN be done. And while I don't plan on going on some mad shopping spree when I start getting paid, I definitely think there are a few things I need to add to my wardrobe to bulk up the "corporate" side of it a bit more. But I'll cross that bridge when I get to it. I hope you enjoyed a little glimpsy-poo into my life. And if you're still awake at this point. Bravo! Loved this post! And I had no idea you had bought almost nothing new all year. Love your style! I remember your first day at CB...I was like that girl is wearing a shirt I have BUT she paired it with a purple cardigan...purple, I never thought to wear purple with it and I have purple! I was an Old Navy printed tank with Yellow floral print and it has a hint of purple in it. I love this post! Getting dressed on a budget isn't an easy task sometimes. It can be frustrating. But you make it look so effortless. 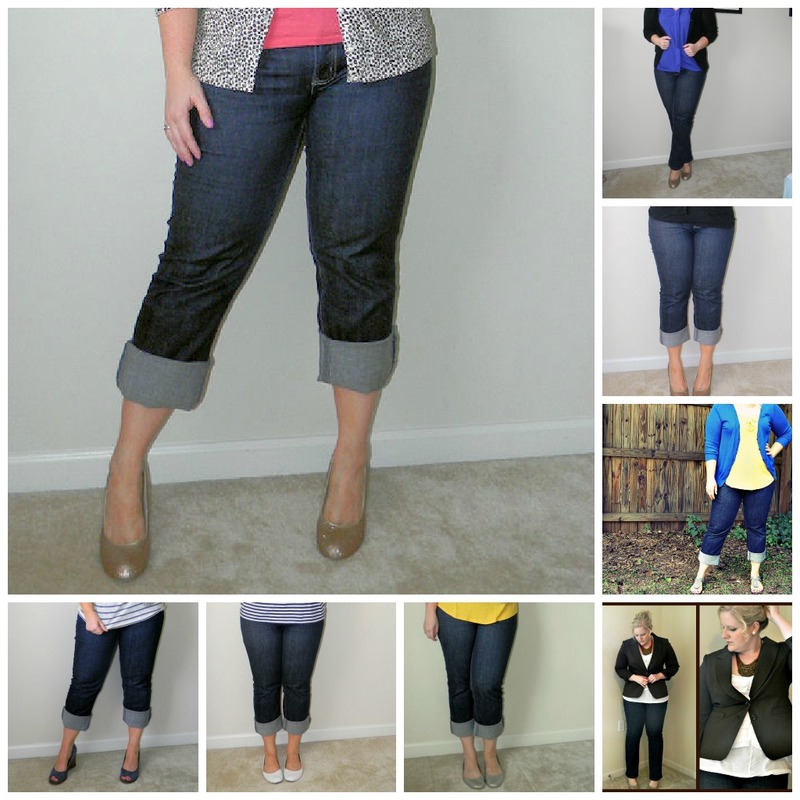 Making the post out of an item by remixing and such - such a great way to make the most out of the clothes you have. Thanks for sharing this!